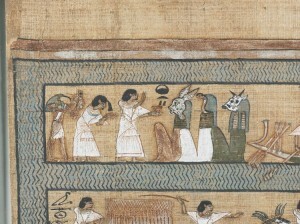 Papyrus of Ani, a master piece of the Egyptian art. Ani with a lock of hair forwards greeting the Ennead. XIX Dynasty. Photo: British Museum.